Was £125.00 - Now £112.50! 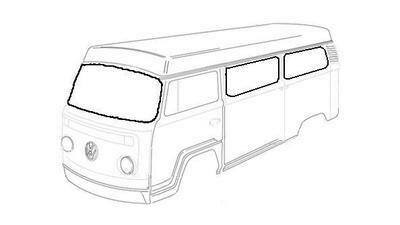 This kit will be supplied for a standard factory window bus, with NO rear opening 1/4 lights, or louvred windows. We can however adapt this kit to suit your particular needs, price may increase, but will still save you money. If you have a converted panel van, then the kit will be the same price, but you will need to let us know that you do not have factory recessed windows. The seals in this set are top quality.